Did you know that salmon not only find their way up rivers to spawn, but they’re able to find the specific feeder branch, upstream, where they hatched? It’s amazing. But in Norway, scientists have noticed that wild salmon are struggling to find their home streams. Wild salmon that have been tagged and tracked by marine biologists are showing up far off track in spawning season. And it’s becoming a problem. Scientists suspect the increasing population of farmed fish in the Norwegian fjords are partly to blame. Not only have these caged fish introduced diseases to endemic species, but they may also be disorienting local salmon and interfering with their natural spawning cycles. I first learned of this issue at a salmon hatchery in Norway in 2013, and wrote about it on this blog shortly thereafter. Informative conversations, like this one, that I had with Norwegian chef Christopher Haatuft during this trip inspired him to create and host a series of events at his restaurant Lysverket. He asked me if I would help him, and I eagerly agreed. The Friends of Lysverket series would bring me back to Haatuft’s breathtakingly beautiful corner of the world more than a dozen times over three years to learn about the incredible culture and unique foodways of that region. Important conversations about our foodways are happening all over the world. Here in America, the Southern Foodways Alliance, initiates and encourages dialogue and introspection within the food and restaurant community in the American South. Taking an academic approach to its work, the SFA also focuses on preserving and recording as much of it as possible. The James Beard Foundation hosts “boot camps” throughout the year to get chefs engaged in policy and change on a variety of issues. 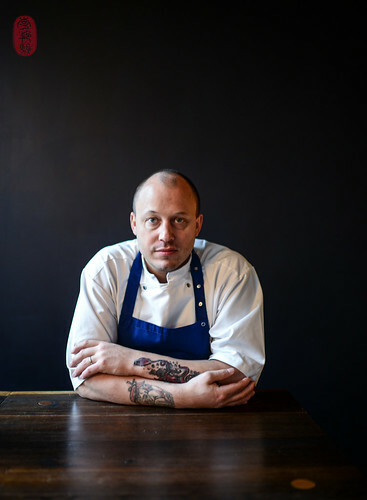 And Chefs Brigaid, founded by Dan Giusti, formerly the head chef of Noma, is harnessing the experience and influence of professional chefs to improve foodservice programs in our nation’s public schools. These, and many other programs, are doing great work. But I fear that it’s being lost or ignored in the near-blinding glamor and glow of restaurant celebrity today. One way to overcome this, of course, is to leverage restaurant celebrity for advocacy and awareness. Charity dinners, for example, are great way to spotlight causes and bring much-needed dollars to them. I participate in them often, and have helped organize and host them regularly. But what’s often missing at these events is meaningful conversation. These dinners appeal to an audience that’s happy to pay for a special culinary experience and, at the same time, walk away feeling like they’ve contributed to a cause. Many are eager to engage more with the issues that these causes raise, but don’t have time. Or maybe they do. But rarely is that opportunity offered. I want to offer that opportunity, at least in my little corner of the world. With the help of the Karbank family, which owns the 1900 Building and The Restaurant at 1900 in Kansas City, I am helping to launch a series of food talks and dinners. Our first “Talking Food at 1900” event will explore aquaculture. On Saturday, 26 January, I will be moderating a small panel discussion that will continue the conversation that I first started in the fjords of Norway years ago. 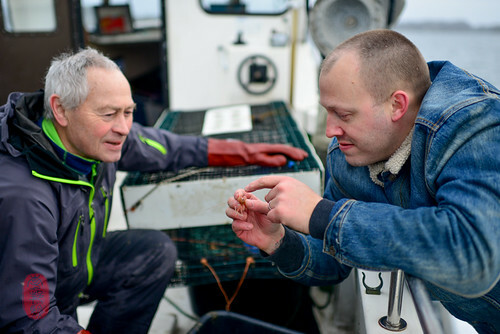 We are bringing my friend Christopher Haatuft from Bergen, Norway to share his experiences as a chef working with marine biologists and fisheries – including whalers – along the Norwegian coast. Also joining the conversation will be Magdalena Wallhoff, a longtime friend and colleague, who has more than a decade of experience in the fish farming industry. She not only has incredible knowledge about the commercial aspects of fish farming, but has worked hard to champion fair labor standards, improvement of infrastructure, and environmental protection within the farmed fishing communities of the developing world. I have traveled with her to fish farms in the jungles of Honduras, Mexico, and Indonesia, to understand the issues her industry faces, and have witnessed the incredible work that she and others have done. This panel discussion will take place at 4:00PM at the 1900 Building. Attendance is FREE, and we will be raffling off a table for two for the following night’s dinner – Sunday, 27 January – when Haatuft will be cooking with Linda Duerr, the chef at The Restaurant at 1900. If you would like to attend the panel discussion, we encourage you to register for online so that we can get an adequate headcount. If you would like to attend the dinner, please reserve online. Seats are limited. In September, we will be hosting another Talking Food at 1900 event. Sarah Steffens, the chef of Dogwood at Blackberry Farm in Walland, Tennessee will be joined by Blackberry Farm’s master gardener John Coykendall for a discussion on their amazing seed saving programming, and the importance of preserving traditional farming techniques. 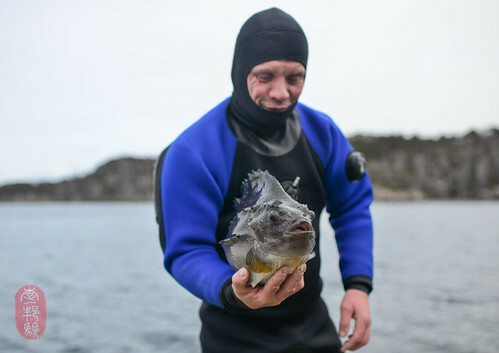 Photos: Diver Knut Magnus Persson and a prehistoric-looking “stenbider” (“stone biter”) fish in Sotra, Norway; Christopher Haatuft on at Lysverket in Bergen, Norway; Magdalena Wallhoff in Bellingham, Washington; shrimper Knut Jørstad and Christopher Haatuft in Sotra, Norway. ~ by ulterior epicure on January 16, 2019. Will these talks be recorded so those not in Kansas be available to watch?